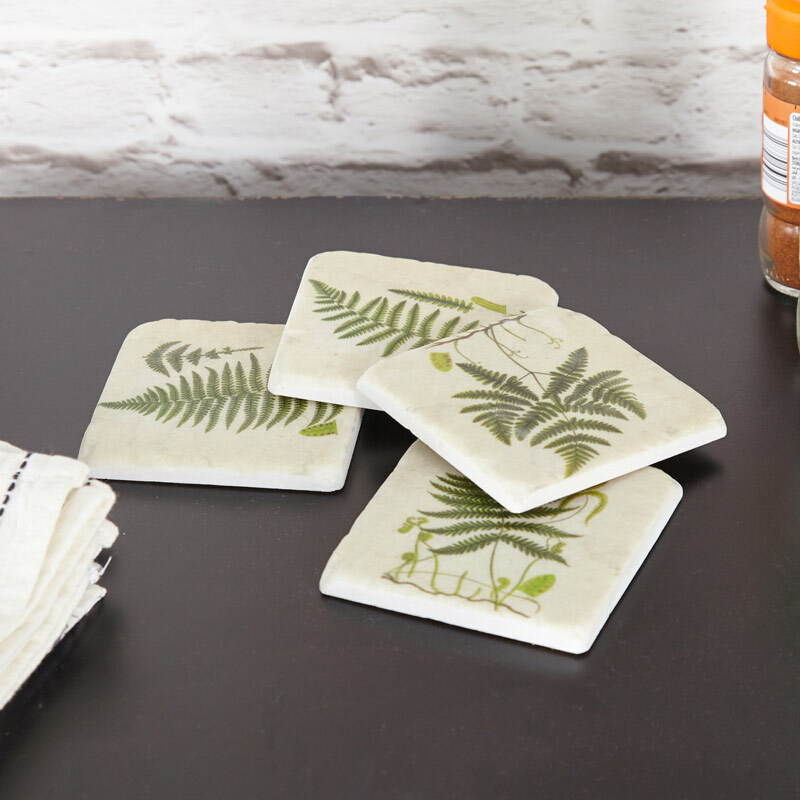 Add a subtle botanical addition to your living room or kitchen decor with these rustic drinks coasters patterned with beautiful fern and foliage. 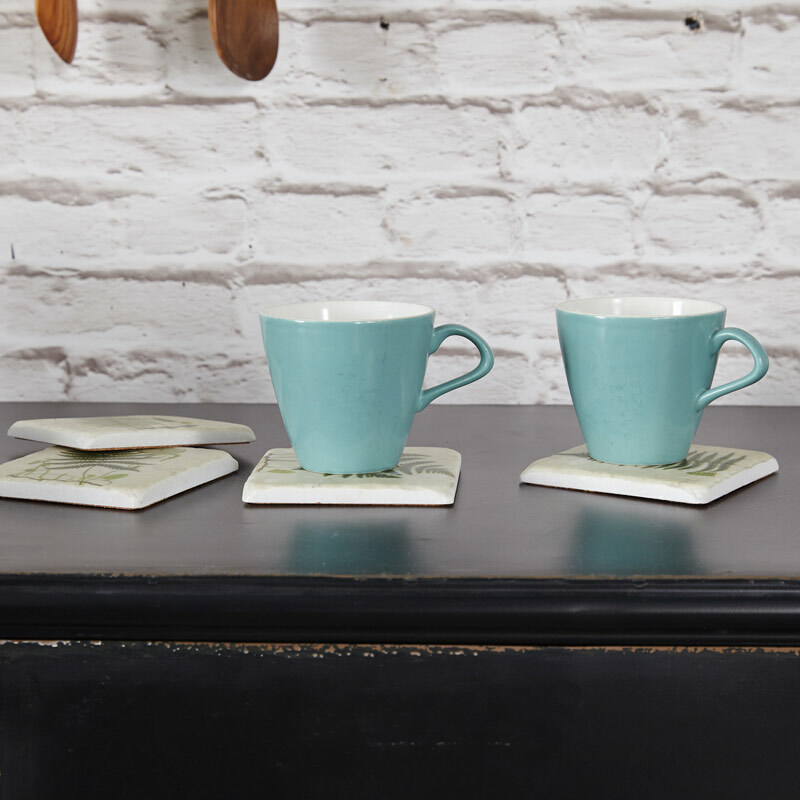 Cup / Mug coasters perfect for protecting your coffee table or side table from those dreaded ring marks. A perfect gift / housewarming present for a new home owner or someone who just loves the trending botanical interior theme.